A major Shortage of qualified Instructors creates big problems in Michigan and across several other states for summer rider training programs. Whether you're new to riding motorcycles or a moto veteran, the best thing you can do is take a rider skills course. Tons of stats back up professional riding instruction. Graduates are less likely to crash, that is, less likely to die. Your insurance company might even give you a break. There is one small problem, though—getting into a course. On July 8, 2018, the Detroit News reported a large shortage of instructors throughout Michigan. Unfortunately, Michigan is not alone in its lack of motorcycle instructors. Ohio, Virginia, and Massachusetts are all begging for rider training instructors as well. This means fewer classes, longer waiting lists, and more people not bothering with training or a license. There is some good news, though. 11,478 riders took courses at 32 training sites around Michigan, meaning more trained riders who are far more likely to buy a motorcycle and ride safely. Welcome news for an industry suffering with falling sales. 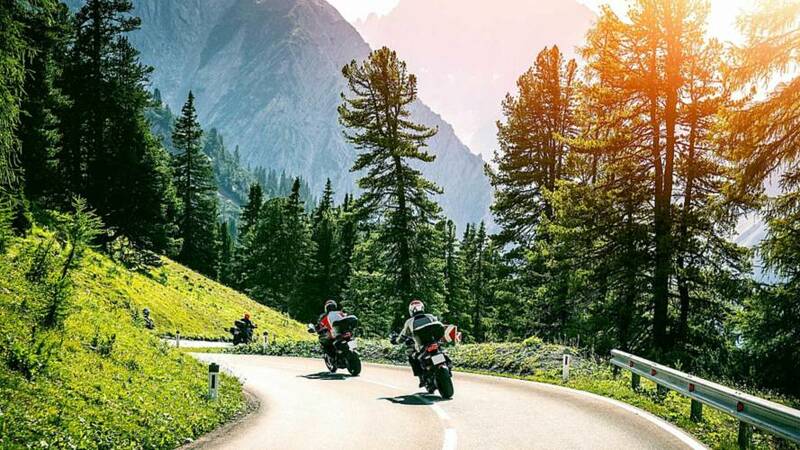 The bad news here is that Ruth Johnson, Michigan Secretary of State and long term motorcyclist, reports that an estimated 14 percent of Michigan riders are unlicensed and far more likely to crash. These riders make up a disproportionate number of Michigan's 2886 reported crashes with 2362 injuries, and 140 deaths. There are two ways for Michigan riders to get legal. First, and by far best, is to take a rider skills course. Second, you can try on your own to pass a basic skills test. If you are between ages sixteen and eighteen, the course is required. For adults, the basic skills test is an option. If you can wobble around a parking lot without falling over you can be legal, but not necessarily safe. The rider courses are a much better way to learn riding and flush out those bad habits acquired over decades. With so many people taking these courses, why aren't there more instructors? Riding instructors are seriously motivated people. William Decorek of Rochester, Michigan, is a riding instructor and he teaches between 21 and 24 courses each summer. That's almost every weekend. He then looks after a fleet of motorcycles used by trainees in the course. That's a pretty full calendar. Riding coaches get paid an average of $28.00 per hour for actual course time, which works out at about $400.00 per session. Not bad, but it means you give up almost every weekend and some weekdays tinkering with bikes. Decorek's age is another clue, at 61 he is close to retirement and represents the vast majority of instructors who've taught a long time. Finally, 2014 updates to the carefully designed curriculum mean that instructors must be recertified at regular intervals. The instructor course is a grueling, six-day affair and wipes out another piece valuable summertime. You'll need a spotless riding record and the ability teach as well. Retirements, combined with these heavy commitments, led to a 30-percent drop in the number of available instructors from 2014 to present. Michigan areas hardest hit with shortages are Metro Detroit and Grand Rapids. I am not in favor of lowering training standards, and like everything else a good training program needs money, lots of it. Who will pay? In Michigan, the riding season is short, in my ideal world, a indoor winter course might be held in a large empty building. An indoor winter course would take the pressure off overbooked spring courses, build enthusiasm, and let instructors have a little riding time of their own. Meanwhile, grab a course while you can. You will be a better, safer rider.